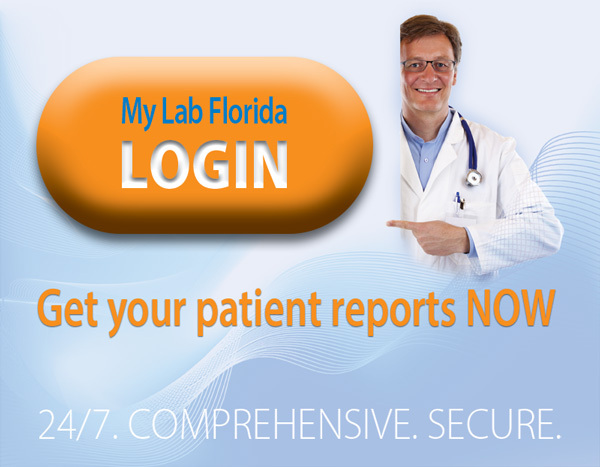 Review the Help page to learn how to use MyLabFlorida and get more tools that will make test orders and reports quicker and easier for your organization. It is important to provide all demographic, insurance and diagnosis information when you fill out LabFlorida's requisition form. The healthcare is transitioning to electronic medical records. One small error may cause many problems later. Please help us keep accurate patients' records by providing us with accurate and complete information. ICD-9 Diagnostic codes or diagnosis description must be provided for every test order. This is a compliance requirement for all healthcare providers. This service, together with any reports and forms, are intended only for clients of Laboratory of Florida. All medical and personal information herein is confidential and protected by both State of Florida and Federal Law. It is unlawful for unauthorized persons to use, review, copy, disclose, or disseminate confidential medical information. If you are not the intended user of this web portal, close this browser window immediately.